Welcome to the Words with Friends Forums, @wowser13! Our team is aware of this error and they're currently working on it. In the meantime, if you're using a Samsung device, I suggest to update your Camera/Gallery app. As soon as you're done, try editing your picture in the game. How do you update badges to your profile pic ? We suggest to go the Phone settings>Apps>Scroll down to Words>Permissions>Top right menu>All Permissions>Tap "read the contents of your SD card" and "Modify or delete the contents of your SD card" it should work for none Samsung device users. In the meantime, for those who used that device were still currently working on a fix and we'll make sure to keep you posted for updates. Thank you for understanding. I am using an LG & that tip STILL doesn't work! You guys have been promising to fix this issue for over 2 1/2 years but not only can I not change my picture, but I can't add my college nor name. What gives?!? When will this ACTUALLY be rectified?!? Note, I do not have a social media account. Please make sure to update your camera/gallery or ensure that the Words with Friends app permission on your device is turned on. 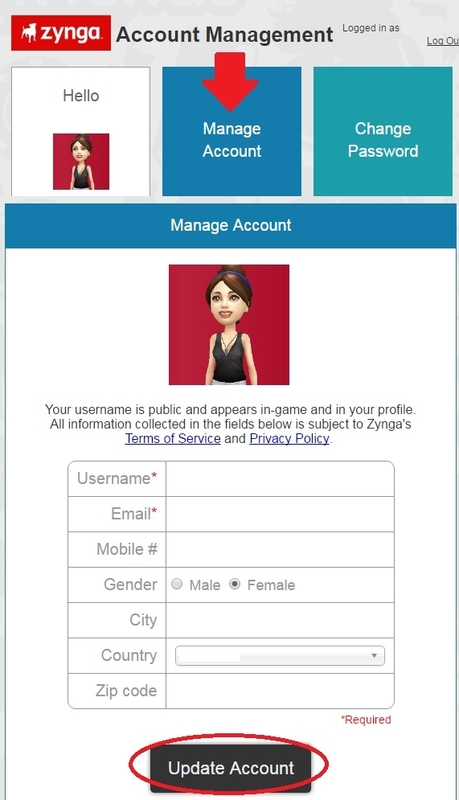 For an additional workaround, you may also update your profile status by going to the Account Management. Please refer to the image below for instructions. Thank you. This has been going on for Years! So annoying for them to say they are "Working on it". FOR KINDLE USERS: Try going into settings, manage all apps, choose words with friends app, and hit "clear cache".